Ramoji "General" 1 Day Tour Package by CAR from "Hyderabad Tourism"
Ramoji "Star Experience" 1 Day Tour Package by CAR from "Hyderabad Tourism"
Ramoji Film City Hyderabad: Located at a distance of 30 km from the city of Hyderabad, Ramoji Film City is on the NH-9. 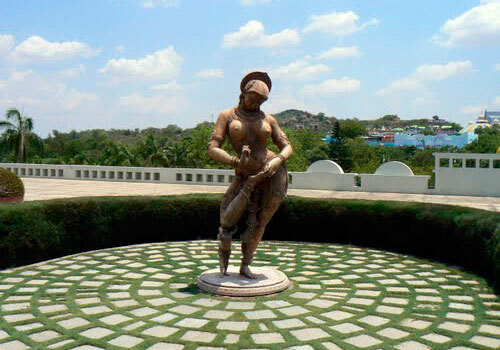 Built in the year of 1991, Ramoji Film City is one of the most popular sightseeing places of Hyderabad. One of the largest and glamorous film studios in the world, Ramoji Film City has also place in the Guinness Book of World Records. Spread across an area of almost 2500 acres, it is one of the major film making facility of the country offering everything related to pre and post film production. The architecture of the studio and the wide range of settings makes it one of the favourite spot for many film makers. With a capacity to accommodate close to 50 film units at the same time, Ramoji Film City offers umpteen numbers of film sets such as London Street, Hollywood sign, Japanese gardens, airport, hospital, etc. , landscapes and buildings as well as laboratories. The self sufficient film city with its facilities and setting is enough to make a complete movie. The place makes for an amazing sightseeing places catering to each and everyone. For those looking for accommodation, the film city has two hotels as well namely Tara and Sitara. 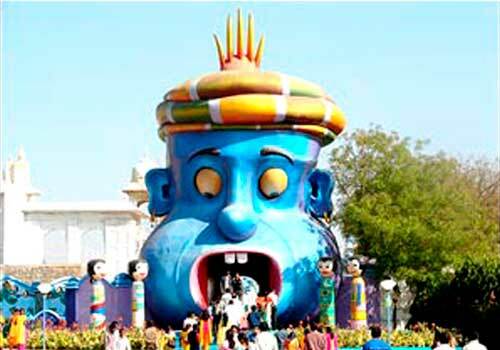 One can visit Ramoji film city from 9.00 am - 8.00 pm. On an average, the film city sees almost 10,000 visitors on usual days. 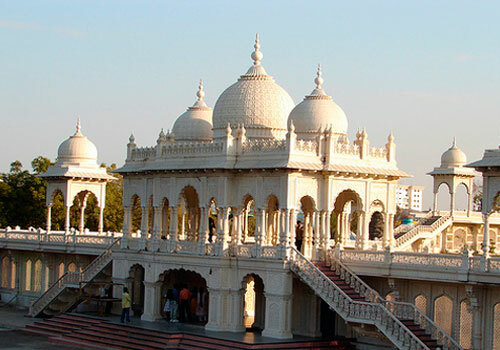 There are various bus services operating from the main city to the Ramoji Film City. Once at the film city, you can take vintage buses providing visitors a ride of the area. Blockbuster Holidays packages: To perpetuate the fun with family in the dream locales, the new age hospitality is extended to the discerning tourist with special packages. Matching individual preferences and choices, a wide range of accommodation facilities and services are available here and also with an access to fine dining, the luxurious accommodations and its celerated romanticized ambience. Dolphine Hotels Living in style. 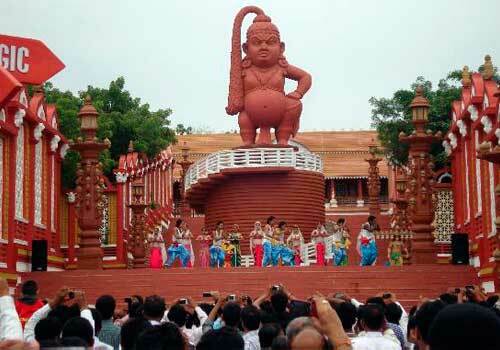 Ramoji Film City is a world in its own. Complementing the entertainment and natural scenic beauty of the place is world class accommodation within the premises. Sitara, the luxury hotel is the ultimate statement in opulence, luxury and comfort. The rich ambience, plush decor, and an elaborate list of special privileges, all add up to match the exacting demands of holiday makes. Luxury and comfort are built in every aspect of the facilities. Right from well appointed theme and royal suites with dining at one of the finest multi-cuisine restaurants or poolside barbeques - here hospitality is of the finest variety. In addition, the hotels also offer an exclusive club house and an ultra modern Health Club. Honeymoon Package at Ramoji Film City: fairy tale romances begin at Ramoji film city, embark upon a new pat, romance like a hero and heroine with a magical trip to the land of movies. Couples can utilize our ideas bank and blend it with something they want, to create their own personalized honeymoon fantasy. Ramoji Film city Honeymoon packages are unique and exciting, designed with all the right understanding of the couple for their memorable moments. The exciting array of recreational activities on offer include fun-filled honeymoon video, photo shoots, spa treatment, ethnic bullock cart ride with jingling bells etc. For every activity with the life partners, we make it happen here..
Grand Wedding: At Ramoji film city the glory of a memorable wedding finds its way into reality and ultimately is executed in one of its mind style. Here every aspect of a wedding is realized with a thematic touch. Ramoji Film city pulls out all the stops to make the wedding memorable for the guests and quite cherishing for the host. Everything is accomplished extraordinarily by a professional team of event managers who also execute picture-perfect parties and manage the logistics for the guests. And all this amidst a lush environment makes it one-in-a-lifetime occasion to be cherished forever. Journey into the Celluloid world: This is a special attraction much admired by the tourists as watching film sets made for the popular films make them feel thrilled. Every tourist is taken on a guided back-lot tour of the make believe world where in the settings, landscapes and avenues related to different films are shown. The ravishing Bhagavatam set with the attendant mythological grandeur is hard to ignore. The aesthetically designed Butterfly Park at Ramoji Film City is home to thousands of colourful butterflies which is a big draw for the tourists. Growing ornamentally shaped shrubs or dwarf in small containers can be an intriguing art. The striking showcase of the world of Bonsai plants at VAMAN can be extremely educative and delight to watch. Interactive Entertainment: Ramoji Movie Magic brings the interactive entertainment of the films to tourists who be left in awe; as it stands out as a participative Odyssey into the realms of the reel where filmmaking is experienced live by the tourists actually participating in it. Action: This enlivening attraction offers to turn anyone into an enthusiastic filmmaker on a 25 minute stint. Experience the audio-visual illusions of the reel world by being part of special effects, dubbing and editing through chroma screens. Filmi Duniya, sends you through a virtual tour across the time zones and timeless cities on the globe. Descend upon the cities that featured in world famous movies in matter of eight minutes. Ramoji Tower: Simulating the harmless but stunning experience of earthquakes, children playfully shout out of excitement when they feel the tremors and several other acoustic effects at Ramoji Tower. Eureka: From the cultural imports of ancient India to the medieval forts, rich tales come to life through attractions and shows. Modelled on the lines of royal medieval forts, the colossal edifice of Eureka lavishly welcomes the guests into a host of experiences from welcome dance-and-song ceremonies to memorable merchandising in theme bazaars, a battery of thematic restaurants to children’s play courts and most exhilarating amusement rides. 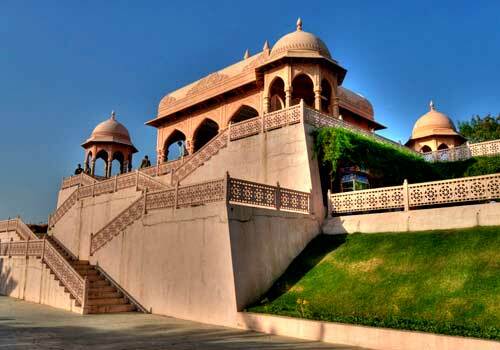 Eureka assumes the form of a time-machine that the visitors step into and stroll past the magnificence of Mughals, majesty of Mauryas, ruggedness of the American Wild West and the pomp of medieval Meena Bazaar. We couldn’t get longer holidays from office so decided to spend a day at Ramoji. The experience was AWESOME! We loved every bit of it. There are so many things to do there, even one entire day felt less. We plan to go there for longer duration so that we can stay as well. If you are planning to visit, start early morning, otherwise you would miss lots of interesting places. 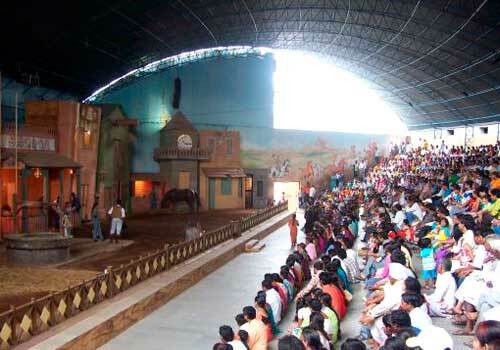 Normal day package of ramoji film city tour start at 9 am. In reality even one full day is not sufficient to cover Ramoji Film City. We got exact ramoji film city entry fee and timings from their official website. I was told that RFC is listed on the Guinness Book of World Records for being the largest film studio complex. thats why on our Hyderabad tour we had kept one entire day for it. 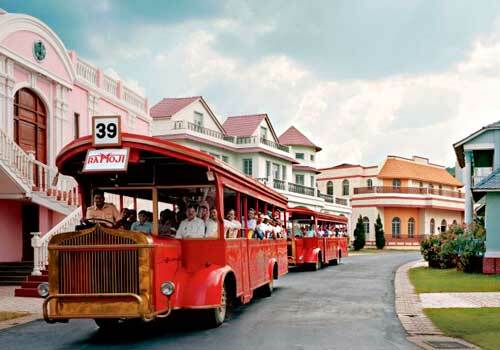 The ramoji film city Hyderabad entry fee is 800 for the basic tour package. It is little expensive but the trip is worth the money. There are so many interesting things to do, even a tour to sightseeing places inside it in a vintage bus! Good restaurants, and so many fun rides and shows. I and my wife, we both loved it thoroughly. Ramoji film city entrance ticket cost itself is 800 rs. It is little expensive if you go with entire family. But for entire day you can have fun! It is best to reach as early as possible. There are ramjoi city tour buses too from the city but better to take your own vehicle. The opening ceremony was something you should not miss! We reached early because we were travelling by our car. Better to avoid city traffic and reach early. The tour start by 9 am..so reach there by then. There are so many things to do that you need entire day for it. We took our kids there. It was their first time and they loved it so much. Even the bus ride was exciting. it is like an all inclusive entertainment park and worth all the money. And for kids ramoji film city ticket cost was even lesser. It has many sets to see, like a proper tourist destination. Also have many fun rides and activities to do. They have made up village, airport and even railway station. There are also many beautiful gardens. Enough things for kids to do too. There is a kids park. My kids loved Wonderville. And eldest one was almost addicted to the video games parlour! It is must for every family. I went with my friends. We all are movie buffs and wanted to see the film sets, how they look in real and if possible how the shooting is done. Gardens were breathtaking..exactly like movies off course! They have real like streets too where shootings are usually done. We for first time had the experience of studio and a movie too! This place is like having many sightseeing places in just one place. There are so many option and you really can’t see everything in one single day! you would need atleast 2 to 3 days to see all. 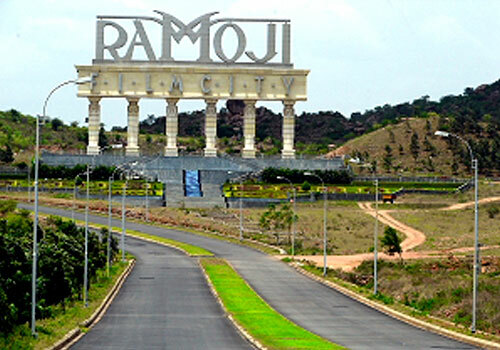 Check ramoji film city timings and entry fee before you plan. They do update it from time to time. So better to check and go. We went to Ramoji on our Hyderabad tour. We were not sure initially, because of price of ramoji film city entry fee is sky high. But finally at the end, the experience was worth the money. I knew that many movies are shot here and we have seen it too in many movies. But seeing it with real eyes was different! It is like a different world altogether. They have beautiful streets, parks, buildings...captivating landscapes. There are also many fun rides, even live street shows and music performances. There were too many things for us to do but we had just one day. I guess it will be better to go on tour package for 2-3 days..you can even stay back then.